Amy Carson and Katie Carson of Bitters Company are dedicated to creating hand-crafted objects from sustainable and recycled materials. Their folding occasional tables are made of iron and reclaimed wood and are made in sizes that are easy to use anywhere. 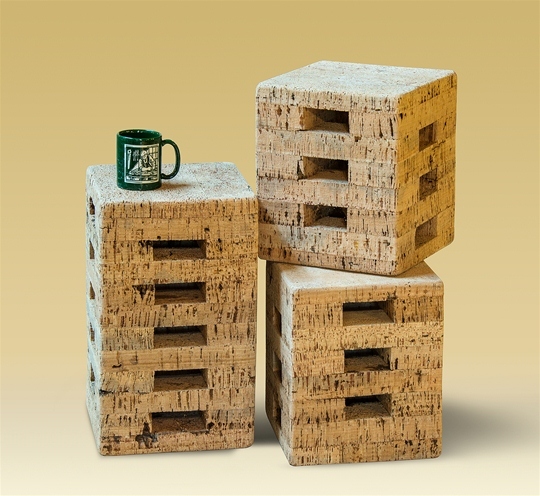 Their cork stools are also made to be versatile and practical and add a touch of texture and fun to your decor. Amy & Katie source their cork from pruned branches and bark not suitable for wine corks. This cork is harvested from a sustainable forest that supports a rich habitat and the surrounding community.